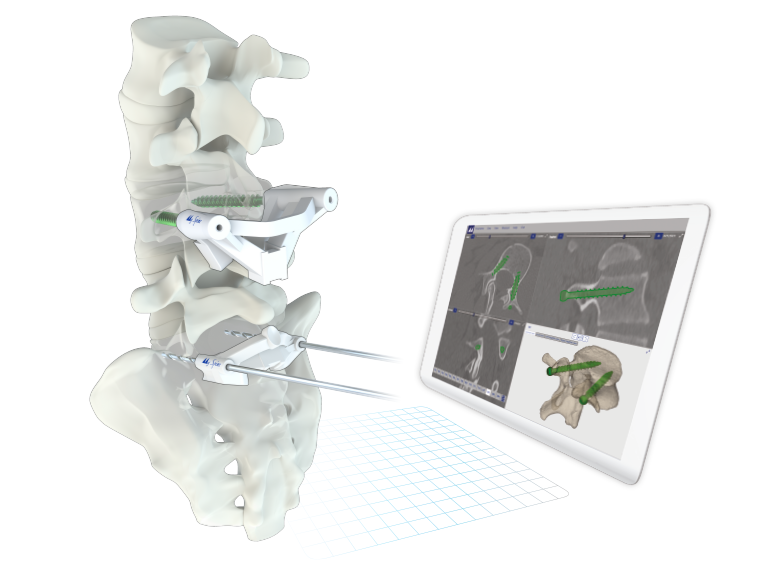 MySpine is a patient specific pedicle screw placement guide, allowing the surgeon to determine his pre-operative 3d planning, based on CT images of the patient’s spine. 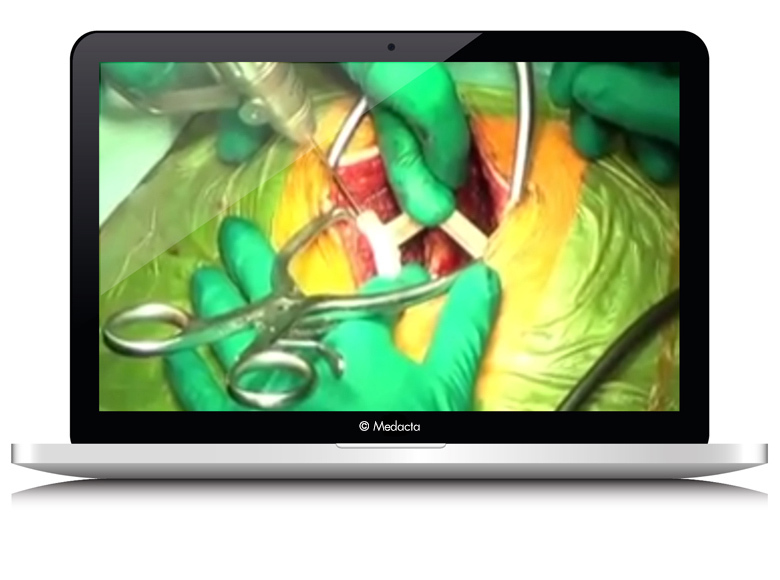 This innovative concept combines several different features to offer potential benefits to both the surgeon and the patient. The MySpine guides increase accuracy in screw positioning potentially reducing the risk of pedicles violation. A dedicated MySpine Low Dose CT protocol developed in order to minimize the X-ray exposure for patients, moreover MySpine potentially allow a complete reduction of intraoperative ﬂuoroscopy without sacriﬁcing accuracy. Low dose radiation protocol greatly benefits the patients in comparison to using C-Arm or O-Arm navigational technologies: more than 30 times less irradiation! (c). Overall dose amount per surgery is up to 50 full spine X-rays less than free-hand technique (data on internal files). Overall time reduced about 30% vs free hand technique. Potentially reduced number of revision surgeries by increasing the screw position accuracy. 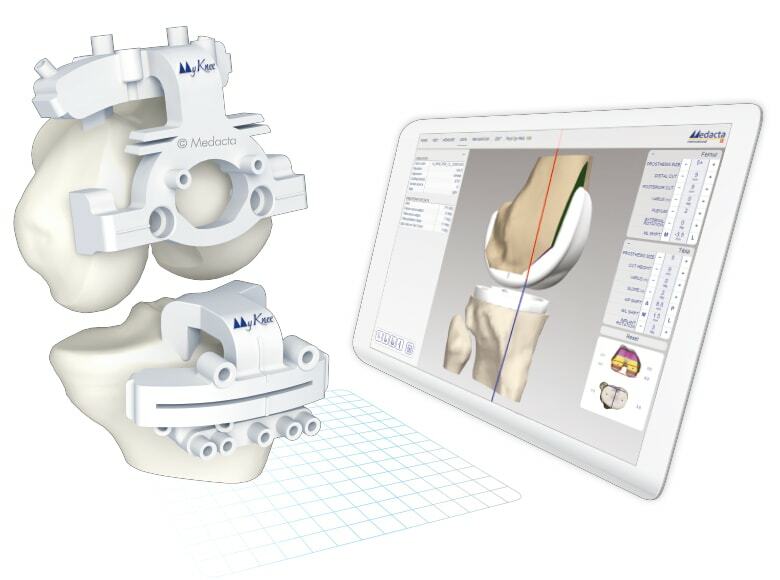 No initial costs: unlike navigation systems, MySpine technology does not require any capital investment. 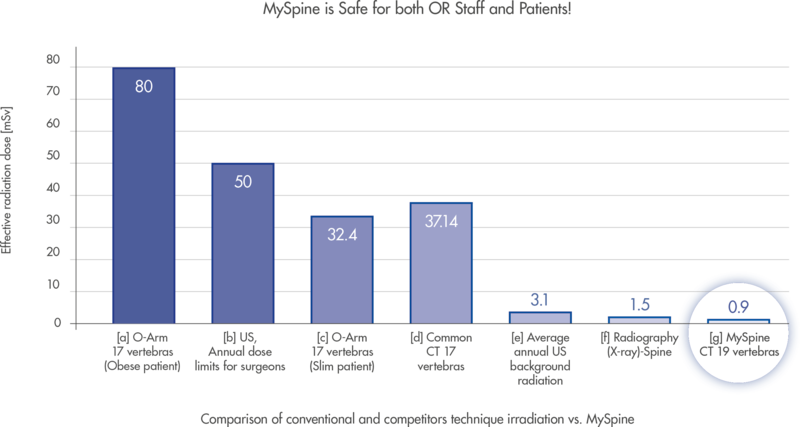 Reduce sterilization costs through the sterile option. 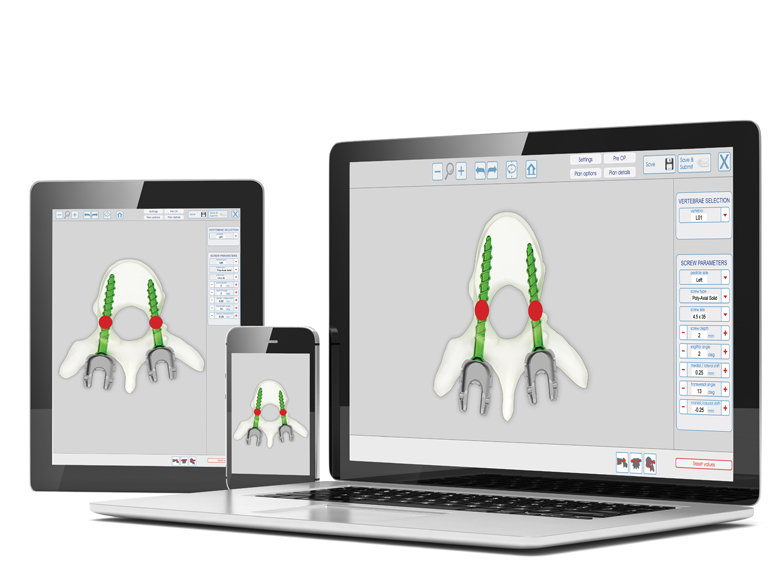 Online interactive 3d planning tool for reliable pedicle targeting and screw trajectory identification. The surgeon determines the entry points for the pedicle screws and sets their trajectory along with the main geometrical parameters. MySpine guides are positioned on the vertebra using different contact points on distinct anatomical references, such as the spinous and transverse processes, in order to achieve the maximum stability. MySpine guides are designed to preserve the patient’s anatomy. 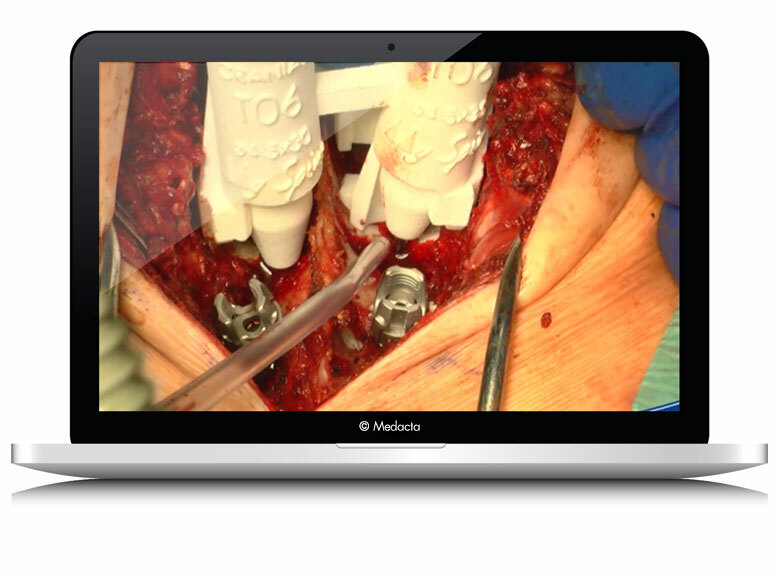 Distal windows enhance the field of view during all surgical steps. 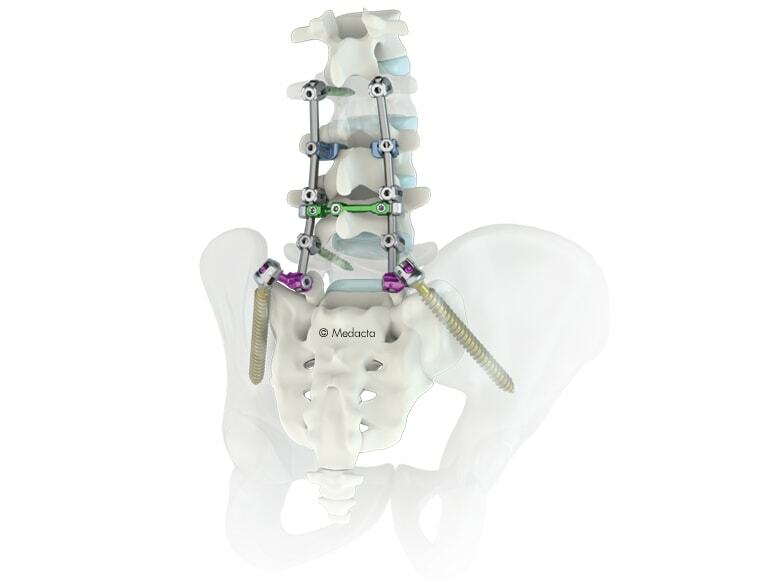 Standard MySpine guides are suitable for challenging deformities and long constructs. 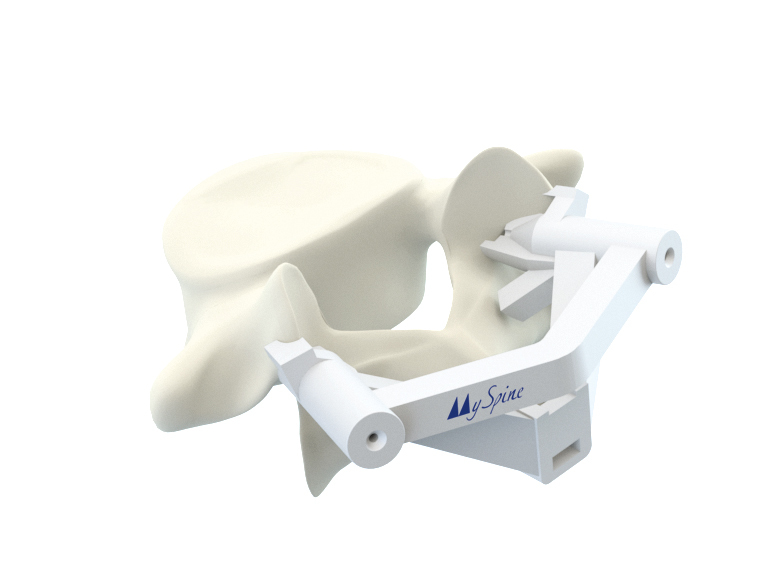 Low Profile MySpine guides are ideal for low lumbar regions and degenerative cases where a small incision is preferred. 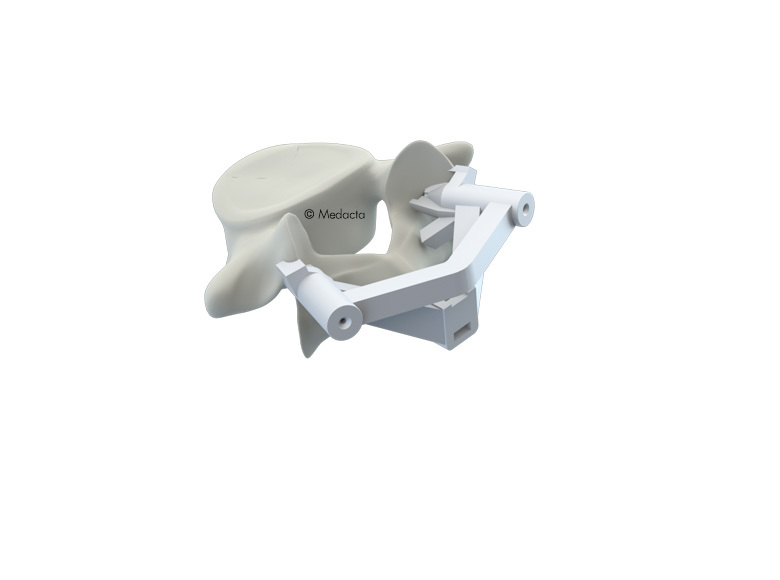 MySpine MC is a 3D printed patient matched solution in the midline cortical approach. Posterior lumbar fusion is driven in a minimally invasive , muscle sparing way, allowing for shorter operating times [2,3] and a substantial reduction of both radiation exposure  and costs [2,3]. Landi et al. Pedicle screw placement accuracy with patient-matched targeting guides: a cadaveric study and first clinical experiences. 8th M.O.R.E. International Symposium, LUGANO APRIL 22-23, 2016. 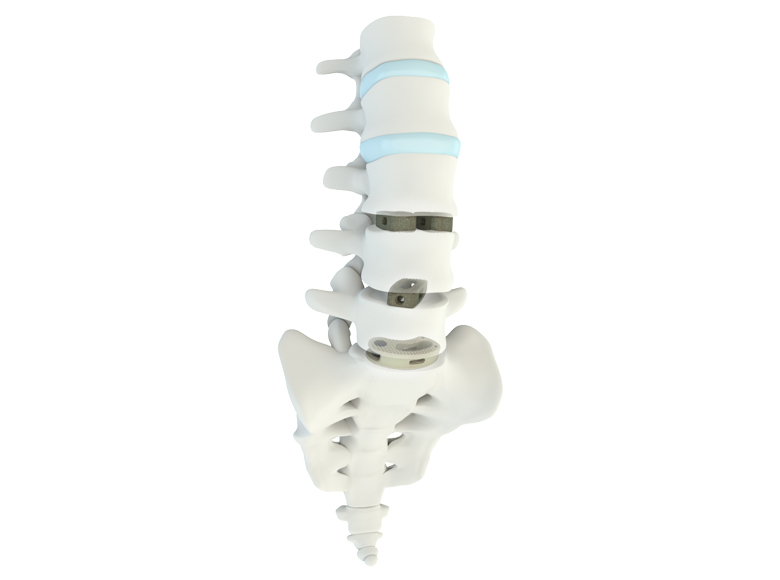 MySpine pedicle screw placement guides are exclusively intended for use with the Medacta M.U.S.T. pedicle screw system and related instruments when the clinical evaluation complies with the need of spinal fixation.